Update 5:20 pm. 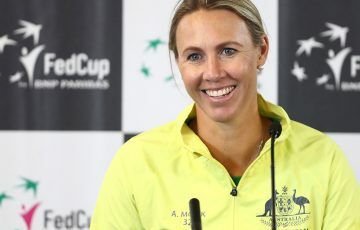 If Alicia Molik was unsure how Jelena Dokic was going to approach their AO Play-off semifinal, she had her answer after the first point. Dokic raced to the net like a sprinter going for gold in an early attacking move and while her backhand volley sailed just long, her intent was clear – she was on the attack. 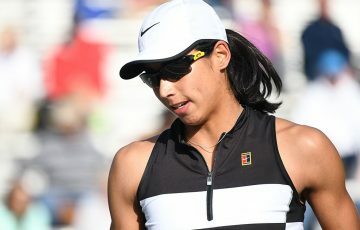 Not happy with her form in her last match – a three-set win over Tammi Patterson – Dokic skipped practice yesterday to ensure she would be fresh for today’s semifinal. “I didn’t play great in my last match and was actually feeling a little bit fatigued yesterday … I’ve been working a lot and it just hit me the last two days,” she explained after her 6-3 6-1 win over Molik. Early on games stayed on serve with both players making their share of mistakes and winners. 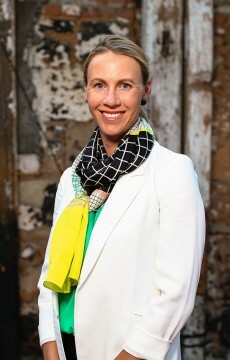 But in the seventh game Molik let her guard down and the re-energised Dokic was past her in a flash. With three break points up her sleeve, Dokic converted the second to strike the first blow. Two games later and Dokic was at it again, breaking Molik’s serve with a fizzing forehand down the line to take the opener 6-3. It wasn’t just Dokic’s forehand that was causing Molik grief, but the depth of her backhand was also giving the former world No.8 more problems than she could deal with. With Dokic leading 2-1 in the second, the grey clouds that had been gathering ominously above Court 6 finally showed their true intentions and brought about yet another rain delay. Players didn’t leave the court but instead spent 20 minutes sitting on the sidelines – plenty of time for both to tweak their game plans. While Molik would have been hoping that the break would provide her with the energy she needed to challenge Dokic, it wasn’t to be. It simply delayed Dokic’s charge to the final. A framed backhand from Molik followed by a missed forehand volley that should have been an easy winner delivered Dokic the break. And from there it was all Dokic. 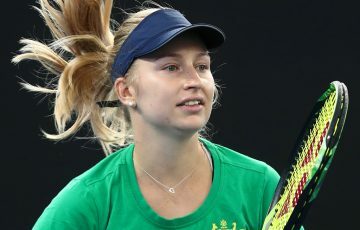 The former world No.4 reeled off the next four games to install herself as the favourite for tomorrow’s final where she will come up against 19-year-old Olivia Rogowska who had earlier dispatched second seed Sophie Ferguson to make the AO Play-off final for the second year in a row. 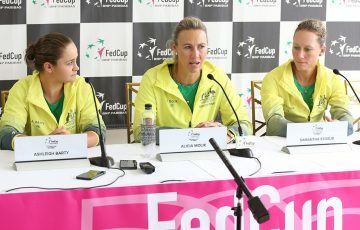 “I’m happy I’m in the final, I knew it would be tough to play Alicia,” said Dokic. Dokic is now just one win away from a wildcard into Australian Open 2011, but to get there she will need to find a way past fifth seed Rogowska. The two have met in the AO Play-off before, with Dokic coming away the winner. “I played her a couple of years ago in the play-off. She seems to like to play here, she played finals last year. She’s playing well and hasn’t lost a set yet. Sunday’s finals will begin at 11:00 am with live streaming beginning at 10:30 am.